GOVERNMENT has barred health service providers from increasing their fees as it moves to ensure access to primary healthcare by citizens. Private hospitals had approached Government seeking to be allowed to increase fees with effect from July 1 this year but stakeholders met and agreed to defer the review until the economy fully recovers. However, some private hospital reportedly defied the agreement and hiked health services fees beyond the reach of citizens. In a speech read on his behalf by Dr Paulinos Sikhosana, former Minister of Health and Child Care Dr David Parirenyatwa said the health sector is facing challenges that need a paradigm shift and cooperation by all stakeholders. He was speaking while officially opening the Association of Healthcare Funders of Zimbabwe (AHFoZ) annual conference in Victoria Falls last Friday. “Medical aid societies and funders play an important role in making healthcare service available to their members by paying in whole or in part for health services. Of course health funders’ resources are limited. “If health service charges are higher than what they can afford, then they may have to increase membership subscriptions or limit the benefits payable for those services leaving their members with the burden of paying the resultant shortfall,” said Dr Parirenyatwa. He said the economy at the moment cannot absorb a health services fees increase. “The Ministry would like to defer all proposed or pending fee increases until the economy recovers. This is because if service providers fees increase, they trigger medical aid subscriptions increases. This will squeeze people financially, particularly since wages are generally remaining static or even going down and may affect ability to access healthcare services,” said Dr Parirenyatwa. He said Government is aware of the challenges faced by medical aid societies, a majority of whom were struggling to meet statutory reserve requirements. Legally, medical aid societies should remain with 20 percent claims, five percent of which is mandatory reserve. The other 15 percent has to cover non-health costs. Claims costs range between 85 percent and 90 percent before factoring in the expense ratio, against 80 percent required by international standards.Service providers end up digging into reserves to pay for some claims because of high costs of health services. Dr Parirenyatwa said the Medical Aid Societies Bill which will promote efficiency within the industry, will soon be presented to Cabinet. 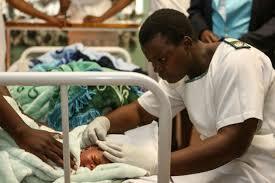 AHFoZ chief executive Mrs Shylet Sanyanga said any fee increase at this stage will cripple health services. She said the healthcare industry has not been growing in terms of life covered because of the demise of companies. “As we are now in the rebuilding phase we expect to see more companies coming and more people being covered. Medical aid societies get members from those with regular income and at the moment all medical aid societies are not in a position to absorb any fee increases,” she said.